I think it's true that the time you put in with your kids helps build that relationship like nothing else. 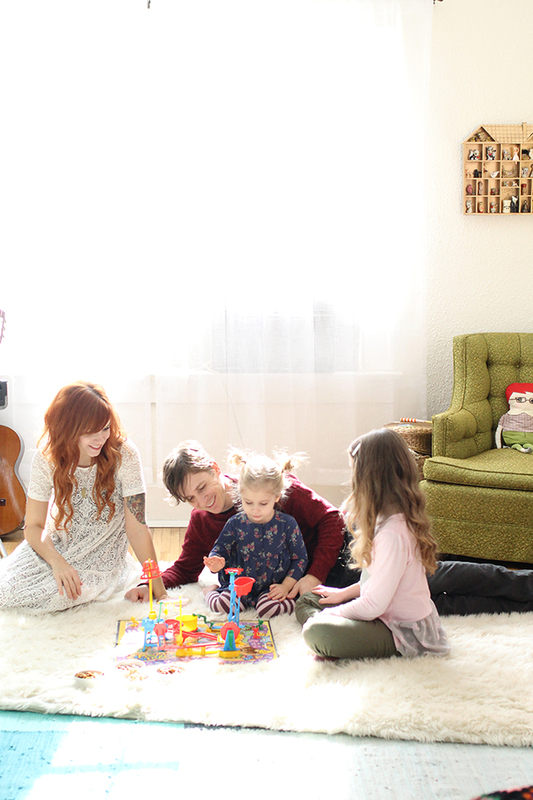 Take our family game time for example: the more games and play time we put in with the girls, the sweeter and more loving they seem to be toward us (and don't even get me started on how NOT a board game person I am)-- the quality time helps build those relationships better and stronger. The same goes for what we put into our bodies. It's important to put in the good things and nourish our bodies. NatureBox sent over a yummy package this month and I was pleased at how many things the girls really liked. In a family who loves their treats (you know the ice cream/pie/pizza posts) we do our best to balance these things out with healthy snacking and meals. The snacking thing is especially important for Hope-- she's a gymnast and since she burns so many calories a day, she eats more often than the rest of us. We've gotta fill that girl with good stuff! NatureBox is offering a free 6 month subscription to 2 different winners! To enter, all you have to do is visit NatureBox and leave a comment here sharing what snack(s) you are most interested in trying. The girls knocked out those Whole Wheat Blueberry Figgy Bars in a matter of days. This giveaway is open to US residents only (sorry, international friends). The winner will be drawn on January 29th and announced shortly after. Please make sure you have an email address linked to your name so we can contact you if you win. Good luck, friends!! **If you are interested in getting your NatureBox now, use the code SKUNKBOY for 50% off your first box! Those foggy ars sound yummy! So many good choices...but that harvest nut mix looks really yummy! I think we would love the raspberry figgy bars. Aw these are such sweet photos Katie. And I think you're right - my fondest memories as a child are always the ones where I was playing with my parents! So many of the snacks look AMAZING! But I'm most interesting in trying things that I would never have considered buying before: seaweed rice pops, yellow curry peas,masa chips. I think the subscription is a great idea of for trying new things. Oh my gosh, so many of them look delicious! :D I'm dying to try to Sea Salt & Cracked Pepper Pumpkin Seeds! The dark chocoloate berry trail imix looks awesome, but so do the dried figs. I love dried fruit! Such lovely pictures! And what great memories you create for your kids when you play games with them! So sweet! I love the Fuji Apples and the Acai Berry mixes from Nature Box! So good! The honeynut medley and the Tuscan Summer mix sound sooo good! All of them? haha. The baked sweet potato fries! And the French toast granola, yum! The wild berry bunch looks delicious. You had me at Whole Wheat Blueberry Figgy Bars. They sound delicious. I also think there Blueberry Nom Noms sound good. We can't seem to fill up our growing toddler these days! He would love any of the nut and seed mixes! My contact email is actually katiegoodrow@me.com thanks! Wow! I honestly wasn't expecting much when I clicked the link to NatureBox, but the snack choices are INCREDIBLE! The sour cream and onion almonds sound really intriguing and the vanilla macaroon granola has to be yummy! I didn't see a single option that I wouldn't want to try! Everything looks great but I really want to try the blueberry nom noms. They look so tasty and I really think my Vivi would like them too. I think the fuji apples look delicious! Wow Love the idea of this NatureBox! I love the peppery chickpeas. :) Thanks!! Peppery Chick Peas look amazing! Trying my best to get my boyfriend and myself away from all potato chips and since I love chickpeas and he LOVES pepper, maybe this will be a great alternative. I want to try the Umami roasted nuts!! As a vegetarian, I'm always looking for fun new ways to pack in my protein - what an interesting combo here. Yum!! How good do "Salted Caramel Preztzel Pops" sound?! That's what I'd be most interested in trying. I absolutely love your house-shaped curio shelf in the background. I assume it's vintage? If not, could you give us the source?? Thanks! Gosh, so many of them sound good! I'd love to get to try the Roasted Kettle Kernels and the Citrus Chipotle Chickpeas! OOO! I've been wanting to try NatureBox so bad, but being newly married means living life on a tight budget. I'd so love to try the Whole Wheat Apple Pie Figgy Bars and the Everything Bagel Stix! Your photos are so sweet! Taking the time to share something special with your girls is such a lovely idea! I'd love to try the ranch peas and french toast granola form NatureBox. Yum! first of all, i am in love with these photos! 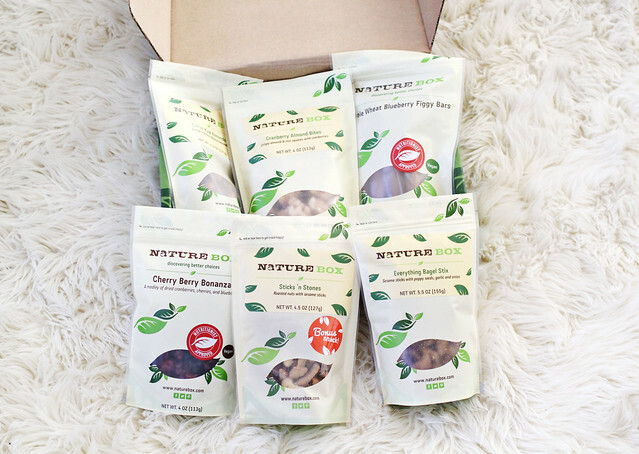 as for the naturebox, the fancy figs and all the pistachio varieties look delicious! Oh those country ranch peas look FANTASTIC! What a great giveaway - and love the post! Board games are the best - I still remember playing Sorry with my mom and brother. She never ever let us win. I really want to try to chipotle chickpeas! I love spicy foods and think those sound so yummy! Those blueberry nom-noms look amazing! Actually, everything looks amazing. Cool giveaway! The dark chocolate berry trail mix looks yummy. Yum, it all looks SO good! I'm especially intrigued by the Peppery Chickpeas and the Guacamole Bites! I would love to try these! Those salted caramel pretzel pops sound wonderful! Although, I'd love to try them all. Thanks for such a neat giveaway offer. The orange granola. I had it once, and haven't been able to get it out of my mind. Delicious! I'm a big fan of dried fruit, especially the mango! I'd also be interested in trying the lemon pucker pistachios. It's so easy to fall into the unhealthy snacking territory that I'm loving the premise behind Naturebox. Being a sucker for anything sweet potato, I'm looking forward to trying the baked sweet potato fries! citrus chipotle chickpeas? yummy! thanks for the giveaway! I think I would love to try everything. If I really have to choose, I go for Blue Berry Nom Noms (I love blueberries sooo much) but also sunshine chips look very delicious. I've been wanting to try naturebox for awhile... that french toast granola is right up my alley! The Whole Wheat Blueberry Figgy Bars and the Ranch Peas sound so yummy!!! Being constantly on the go with work, I'm always on the hunt for portable, next-best snacks! NatureBox seems like an amazing subscription! I already have my eyes on the Sea Salt & Pepper Pumpkin Seeds & the Salted Caramel Pretzel Pops (yum!). The Honey Mesquite Almonds are my pick! I like the ranch sunflower kernels on my salad and think the french toast granola sounds wonderful. Salted caramel pretzel pops, French toast granola, Everything bagel sticks... and everything else they have! I've wondered about Nature Box for a while now. They have a great selection of granola! And the Umami Almonds? I want to try those things first things first. I just signed up for Naturebox and am eagerly awaiting my first box! Anything blueberry for me, please! Oh man these look so SO amazing!! The lemon pucker pistachios sound yummy! What a cool service! Everything looks great, but I would love to try the Blueberry Nom Noms (I love the name too)! Everything looks so scrumptious, definitely would want to try the lemon tea biscuits or cashew power clusters! Those bluberry nom noms looks DELISH! I'm a sucker for blueberries. Elle would love the yogurt dipped pretzels and cocoa almonds are one of my favorite snacks! This is a great giveaway... thanks for offering it :) Out of all the snacks, I'd be most excited to try the acai berry crunch. It looks too good! They all look soo yummy...but I'm betting in our house, the sweet potato fries (between me and my son) and the peanut butter nom noms (my husband LOOOOVES peanut butter) would go the fastest. Everything looks delicious! I love everything bagels, but obviously try to limit those so the everything bagel stix would be a great alternative to get the flavor I love, without the calories! Everything looks delicious! I would love to try the everything bagel stix because I LOVE everything bagels, but obviously have to limit my intake of them! Those dark cocoa almonds look good!! Citrus Chipotle Chickpeas?! Never would have thought, but it sounds delicious! Also, the roasted garlic pumpkin seeds because I can never get enough garlic. Yum! The seaweed rice pops sound good to me! I can't pick just one! I'm a fool for almonds. Can't get enough, the maple chipotle look crazy awesome! I am a fool for almonds, the maple chipotle ones look crazy awesome! we'd like to try the mighty mix and the sweet potato fries. the mighty mix would be my top pick. Wow so hard to choose just one! I think I would start off by trying the Banana Bread Granola... yum! BANANA BREAD GRANOLA!!! Actually all of their granola are very creative and sound wonderful! I would love to try some of the granola varieties! The sourdough pretzel bites sound wonderful :) I'm always on the lookout for healthy snacks, so this would be great! I love family game nights (I'm surprised you're not into board games, for some reason). They really do bring people together. My boyfriend and I have an ongoing bet when we play Mancala. We each put in a dollar every time we play a round and when we have enough, we use it for a date night out. While Sesame sticks are always a fave, I'd be interested in trying some of the other nut mixes they have. Praline pumpkin seeds sound amazing! All of their products sound so yummy! would love to try their granola and trail mixes! what a fun attitude to have towards parenting :) and your dress is gorgeous! So many great options! I would love to try the salted caramel pretzel pops and apple granola! Oh my goodness...I think I actually have the NEED to try the chipotle maple almonds. And the mandarin garlic peas. And the cranberry almond bites. Holy yummers. Nuts! I just love nuts. Probably the Umami Roasted Nuts! Love hearing about your family. Gives me things to think about when contemplating my own. I'm not going to lie, normally I'd go for the Tart & Tangy Fruit Medley, but the Praline Pumpkin seeds really caught my eye! French toast granola or those seaweed rice pops! Awesome giveaway Katie! i would be really interested in trying the sunshine chips! Wow there are so many choices! I'd love to try the sesame sticks or any flavor fig bars. Guacamole Bites, Honey Mesquite Almonds.... any of the little sesame stix. These snacks all look amazing! I would love to try the peppery chick peas! The lemon tea biscuits look super yummy! the french toast granola!!!! and sunshine chips, for sure. thanks for the chance! god, i have no idea which ones i would choose because i'm like a big time snacker. I basically live off of chickpeas already so the citrus chipotle chickpeas sound right up my alley, but i also LOVE pistachios and don't eat them enough... so the pistachio power clusters sound really delicious. i tried to comment but i'm not sure it worked so hopefully this doesn't post twice. i really loooove chick peas so the chipotle chickpeas sound right up my alley but i would also love to try the pistachio power clusters because i don't eat pistachios enough, they're so delicious. I think the Salted Caramel Pretzel Pops look divine. Same goes for the Whole Wheat Raspberry Figgy Bars! The Tuscan Summer Mix and Tart & Tangy Fruit Medley are calling my name! Those Honeycomb Sunflower Kernels sound dreamy! I love the idea of healthier snacking rather than avoiding it completely. I would most like to try the South Pacific Plantains. Salted caramel pretzel pops look awesome! P.S. Your photos look amazing! Mm the figgy bars and the guac bites! might be just the thing! For me, Pear Praline Crunch please!! I'm feeling snacks after reading through their catalog! The citrus chipotle or peppery chickpeas sound really good! A lot of other choices looked good as well. dying to try the blueberry nom noms!! The praline pumpkin seeds look so yummy!! the peanut butter and blueberry nom noms look sooo delicious!! The roasted kettle kernals, guacamole bites! dark cocoa almonds! This would be a great giveaway to win!!! Have been wanting to try naturebox for a while! I agree with apple and bean, the citrus chipotle chickpeas look legit. Thanks so much for doing this giveaway! So many things look super yummy! I would especially love to try the Cherry Crumble Granola, Honey Crunch Crisps and the Blueberry Nom Noms! Cherry berry bonanza looks awesome! Cherry berry bonanza looks yummy! The yellow curry peas look so interesting, I'd love to give them a try! Mmm the honey mustard dipping stix look yummy! Plus, I can steal them while I visit, mwahahaha! Would love to try the banana bread granola and seaweed rice pops! I have been interested in NaureBox for a while. I would really like to try the cocoa waffle wafers or the guacamole bites. or the peanut butter or blueberry nom noms. I mean you can't go wrong if nom nom is in the name right? I have been wanting to try NatureBox for a while, but I keep moving around so much that I haven't actually settled down enough to make the leap and pay for it. I'm settled now and 6 months free would be awesome. I wanted to try the everything bagel stix since I saw them on there a couple months ago! Oh! I would love to try the apple pie figgy bars and the salted caramel pretzel pops! Holy poop! I think i'm in dangerous waters. I love my snacking! And they even have the GF stuff in its' own label!! I'm really drawn to the sour cream and onion almonds. Anything sour cream and onion calls to me. ive been meaning to try naturebox! i keep forgetting. 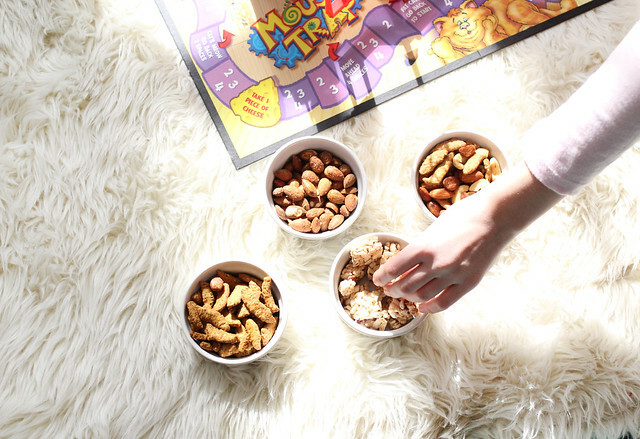 our family would devour anything with fruit, nuts, or granola. YUM! I love anything peanut butter, so the peanut butter nom noms caught my eye. The cranberry almond bites, sour cream and onion almonds, salted caramel pretzel pops, and acai berry crunch all sound really good as well! the best giveaway! i loooooooove snacks! i am most curious abt the guac bites & seaweed/rice bite... &maybe the mexican mango! Oh gee where do I start! I would absolutely LOVE to try the "Dried Pears". I have found that I am madly in love with any type of dried fruit. The "Whole Wheat Raspberry Figgy bars" also sound absolutely delectable. I want to try the blueberry almonds. Yum. Thank you for hosting this giveaway. The Harvest Nut mix and the Sunshine Chips both look amazing! Oh, I would definitely go through a bag of Salted Caramel Pretzel Pops in no time. I've been on a huge fig kick lately, so the fancy dried figs and the whole wheat figgy bars seem just divine! Oh, annnnd, the mexicana mango, peanut butter nom noms, and honey mustard dippin' stix. Mouth-watering! Katie, have you played the game headbands? It's hilarious! Definitely one I think the girls would enjoy. Also LOVE you dress! Can I just say the Peanut Butter Nom Noms look delicious!! Oh and I'd love to try the Sriracha Roasted Cashews look yummy too! Win or loose I'm signing up! How convenient ! Thanks for sharing. honey mustard dippin sticks sound really good!! I would love to try them! I have been DYING for dark chocolate, and the dark chocolate berry trail mix looks amazing! The praline pumpkin seeds don't look half bad either. Everything looks so delicious it's hard to pick just one! The Salted Caramel Pretzel Pops have me intrigued as well as the various chickpea flavors. Thanks for doing this giveaway! Salted caramel pretzel pops? Yum! Yum! I've had my eye on Naturebox for a while. I'm shocked that ALL the snacks sound yummy! I'm a sucker for granola, but all the flavors of chickpeas have my attention! I would love to try the dried pear slices! The whole wheat figgy bars sound ahhmazing!! The whole wheat figgy bars sound ahhhmazing! So many options! The dark chocolate berry trail mix sound delicious! The sour cream and onion almonds! I am a sucker for any granola, but the chickpeas have seriously caught my eye! Also, the Everything Bagel Stix! I'd love to try the blueberry nom noms! Looks awesome! I'd love to try either the blueberry or peanut butter nom noms! You look gorgeous in that first photo Katie! Chips are my unhealthy snacking kryptonite so I would love to try the sour cream and onion almonds! The Seaweed Rice Pops look amazing! Salted Carmel pretzel pops please! The Cranberry Almond Bites look killer good! I would love to try french toast granola! Wow! So many options! I'd have to say the "French Toast Granola" looks very yummy and it's something I've never tried before! Wow! There are so many options! I would say the "French Toast Granola" looks yummy and it's something I've never tried before. I love fig, so the fancy figs and bars sound yummy. The blueberry nom noms look oh so good as well!!! French toast granola?! I'm in. I love that they have an easy way to find soy-free options! French Toast Granola? I'm in! I love that they have an easy way to find soy-free options! I really want to try the citrus chipotle chickpeas! So many fun choices! I love the sound of the Saltes Caramel Pretzel Pops. The peanut butter nom noms sound amazing, as do the peppery chickpeas. But seriously, everything looks so good. I love that they have so many dried fruit options, as well! Ooo, yummy! It all looks great, my kiddo will be the real test though. Ooo, yummy! My kiddo will love these! Everything sounds amazing!! But i'd love to try the sriracha roasted cashews! I'm on a health kick and changing my diet up so I'd really like to try the ANTIOXIDANT BOOST!!!! I've been working hard on changing my diet and eating healthier so I would <3 to try the ANTIOXIDANT BOOST! I'm interested in trying to Sriracha Roasted Cashews. Nom nom! Mmm so many, so many. But I think I'd have to go with the Pistachio Power Clusters. Yes, please. A few that sound good: Homestyle Cheddar Mix, Salted Caramel Pretzel Pops, Lemon Tea Biscuits, Sour Cream and Onion Almonds. There are so many that look delicious!